Presenting His Royal Highness, Aquaman! 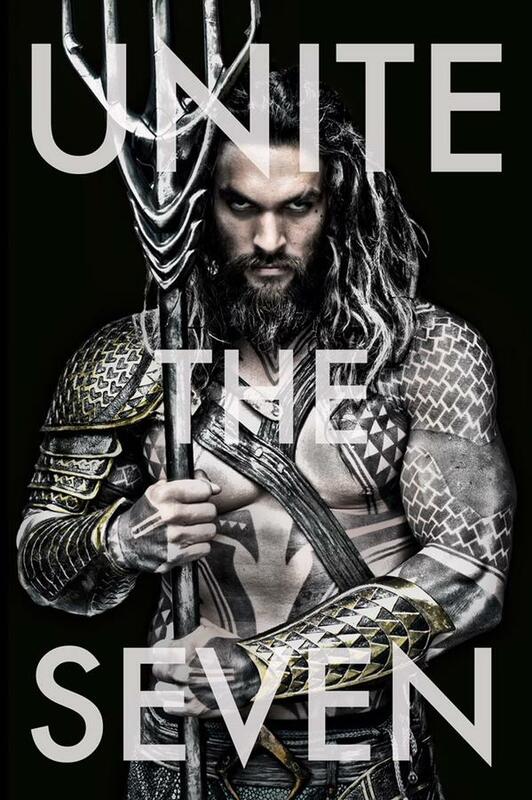 King of the Seven Seas Aquaman made his first official public appearance on the interwebs yesterday, courtesy of Batman v Superman: Dawn of Justice director Zack Snyder, and I will say that while Jason Momoa does look pretty badass, he doesn’t look anything like Aquaman. 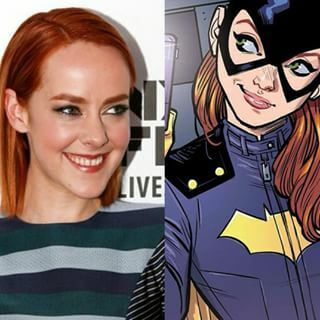 Which is not necessarily a bad thing, and certainly not unexpected — no one thought the orange-and-green color scheme from the comic books was going to be attempted onscreen, and everyone expected the director to toughen up the Atlantean royal’s look. 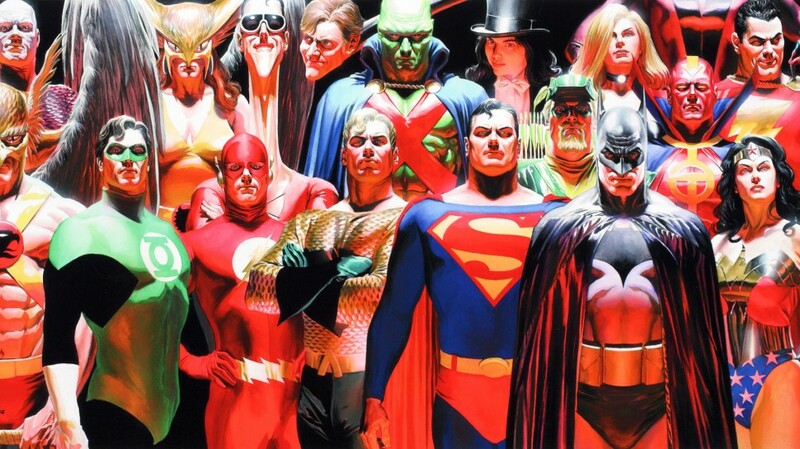 Warner Bros., film company and corporate sibling of DC Comics, got all synergistic at its annual shareholders’ meeting and laid out an ambitious slate of film titles that collectively accounts for almost everyone who’s anyone in the DC Comics Universe…. It seems that a leak yesterday from the set of Batman v Superman: Dawn of Justice prompted director Zack Snyder to Tweet what he called “a real picture” of the newest version of the Batmobile. 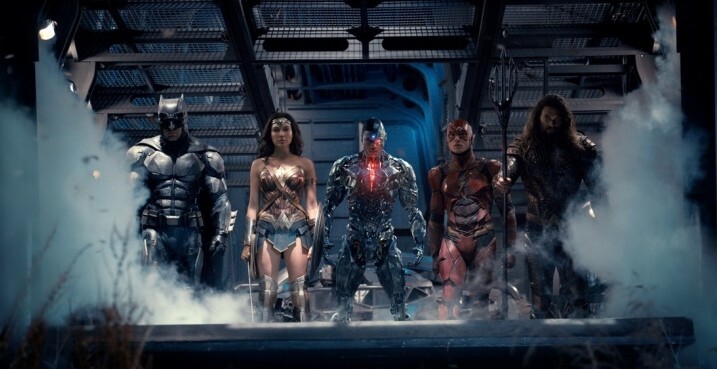 You may recall that Snyder first revealed Batman’s new ride back in May (while simultaneously debuting Ben Affleck‘s version of the Batcostume). The rear end of the vehicle had been teased a bit earlier. 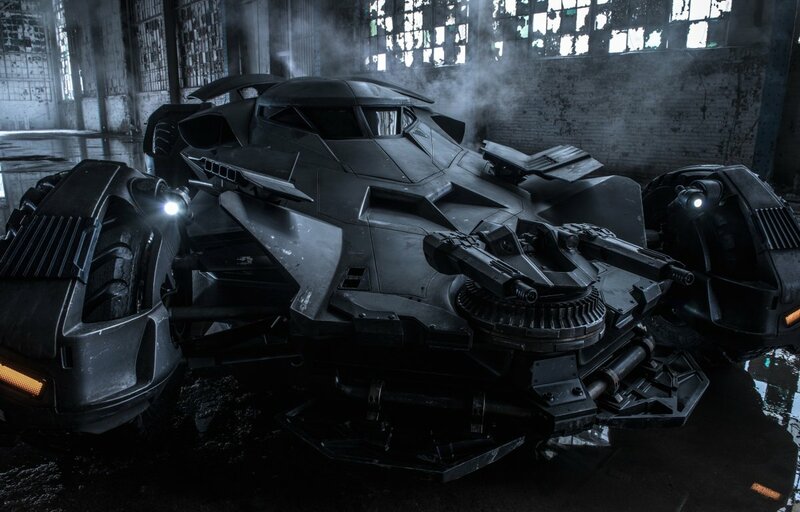 USA Today points out that this Batmobile combines elements from previous movie Batvehicles, such as the sleek cockpit and central chasis of the Michael Keaton/Tim Burton version and the combination tank/monster truck of the Christopher Nolan/Christian Bale Tumbler incarnation. 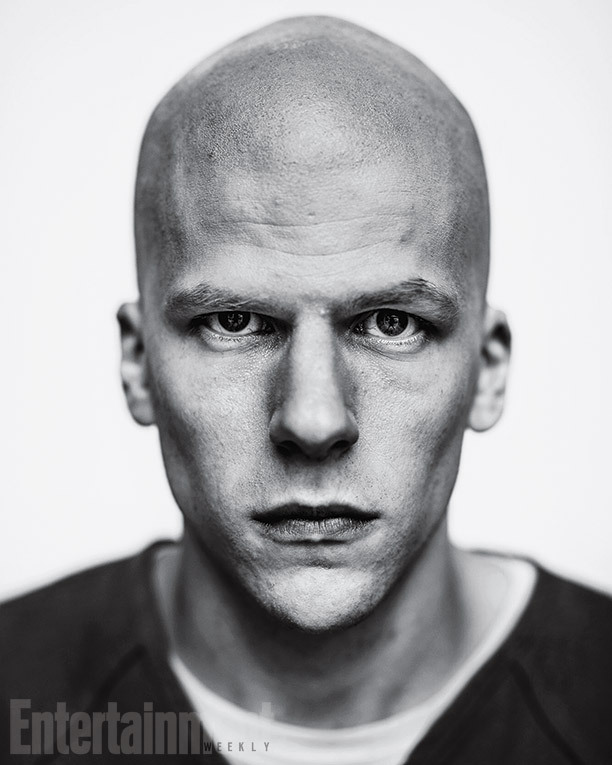 Batman v Superman: Dawn of Justice is currently scheduled to hit theaters March 25, 2015.